If you have a positive pregnancy test, you may qualify for a free limited ultrasound. Make an appointment today for a free pregnancy test. In the state of Tennessee, an ultrasound is required by law before getting an abortion—whether it is a medical or surgical abortion. We can explain to you the requirements of the new law and what it means to you if you are planning to visit an abortion clinic. 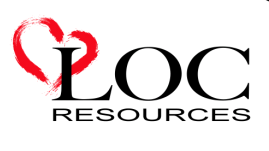 If you’re concerned about being pregnant and don’t know what to do next, make an appointment at LOC Resources in Jefferson City, TN 865-471-0510 or click here to e-mail us. Answering your questions and giving you the facts is why we’re here. Visit our center for a free pregnancy test and abortion education. All of our services are free and confidential.